Dr Nada Jo is the owner and principal dentist of Warners Bay Dental. He has been with Warners Bay Dental since 2006. 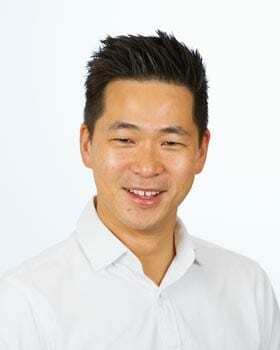 He graduated from Melbourne University in 2004 and has previously worked in a number of practices around Newcastle. He maintains that he stayed and settled with Warners Bay Dental due to the friendly Warners Bay community and great staff. Dr Jo enjoys many facets of dentistry, and particularly likes the way dentistry is evolving through technological advances. As cliché as it sounds, he gets great satisfaction improving people’s oral health situation. His ambition has always been to provide the very best quality care to his patients, all the way from preventative dental care, through to implants and crowns etc. Outside of work, Dr Jo enjoys spending time with his young family and very much enjoys any opportunity to step onto the golf course.